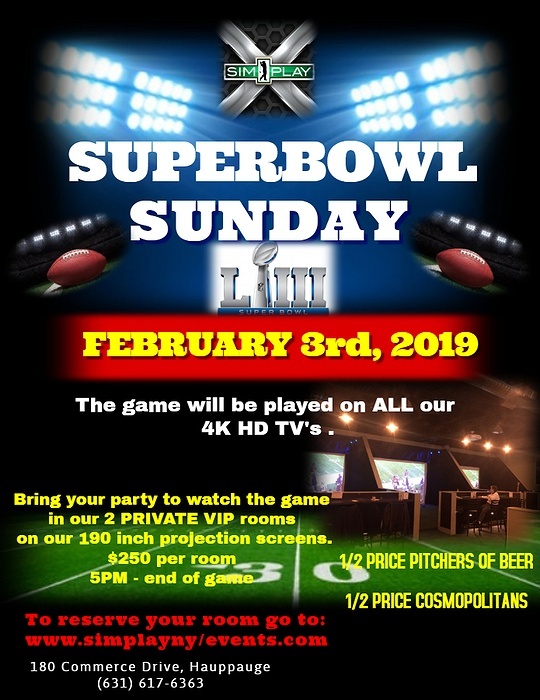 Subject: LongIsland.com - Your Name sent you Event details of "Super Bowl Sunday 2019"
The game will be played on ALL our 4K HD Televisions. Bring your party to watch the game on our 2 PRIVATE VIP Rooms on our 190 inch projection screens. $250 per room from 5:00pm - end of the game.